As touched on in this video by Charlotte Dann (aka “Charbytes”), she has magnets in her fingers. 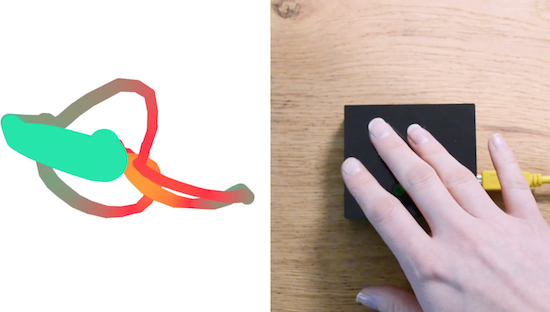 This may or may not seem like a small detail, but either way it allows her to draw interesting shapes by passing them over a magnetometer mounted to an Arduino Uno. Dann’s sensor/Arduino package passes serial data to a computer, which does the “heavy lifting,” turning the input into beautiful colors on a computer screen. It’s an interesting project, and the build process is nicely narrated in her video. A few highlights include a problem with “plastic weld” at 4:00, and a few electrical issues around 7:30 that she eventually solves. You can see more details on this project on its GitHub page, as well as check out Dann’s Twitter account to see what else she’s up to!